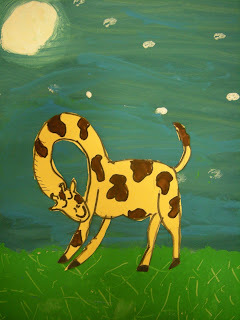 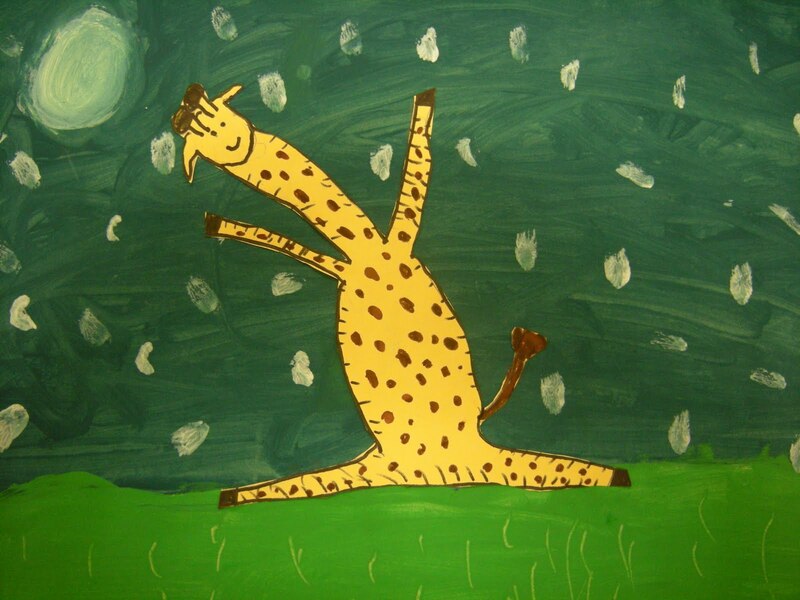 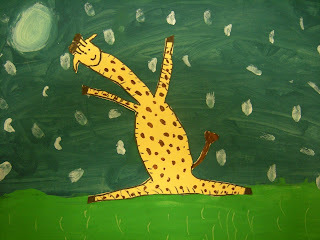 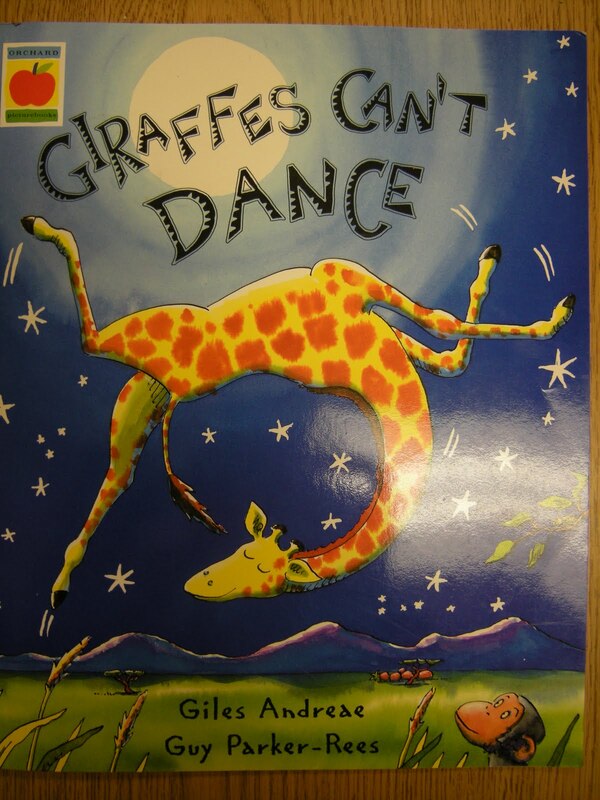 Giraffes Can't Dance and created a collage of a dancing giraffe. We talked about movement as students drew their own dancing giraffe. 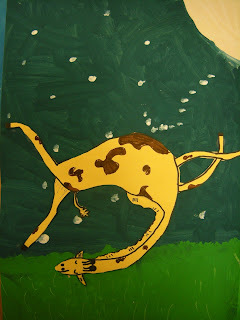 Next, they cut out their dancing giraffe and glued it onto their painted background.